Like the invention of the internet and social media, the greatest achievements are born out of great need. In the case of award-winning gospel group, New Direction, the urgent need was to get young men and women off the tough streets of Chicago and into the life-building community of the church. In 1994, Jeral Gray, Sr. had just been laid off from his job at a Chicago chemical plant. Rather than despairing, he sensed that he was being unleashed for a higher purpose. The youthful group he founded took its name from its purpose: to provide a New Direction for young lives through innovative, high-energy gospel music. In creative partnership with his older brother, Percy Gray, Jr., they launched the group’s self-titled debut, New Direction, on Word Records in 1999; followed by Get Your Praise On a year later. In 2004, Gospo-Centric Records released their best-selling project, Rain, followed by Send the Praise in 2006. By 2008, New Direction had become one of gospel music’s premiere contemporary and hip-hop choirs, earning more than a dozen Stellar, Grammy, and Dove Award nominations including a nomination for 2007 Stellar Award for Contemporary Choir of the year. In July 2009, New Direction debuted Destiny on Nashville-based New Haven Records, which is distributed to the faith-based market through Provident-Integrity Distribution and to the mainstream through SONY Distribution. Their fifth project took this Chicago-based vocal powerhouse to new creative heights, weaving an irresistible tapestry of passionate ballads, hip-hop jams, soul-infused jazz, and high energy praise and worship. 22 years later, New Direction is still going strong. 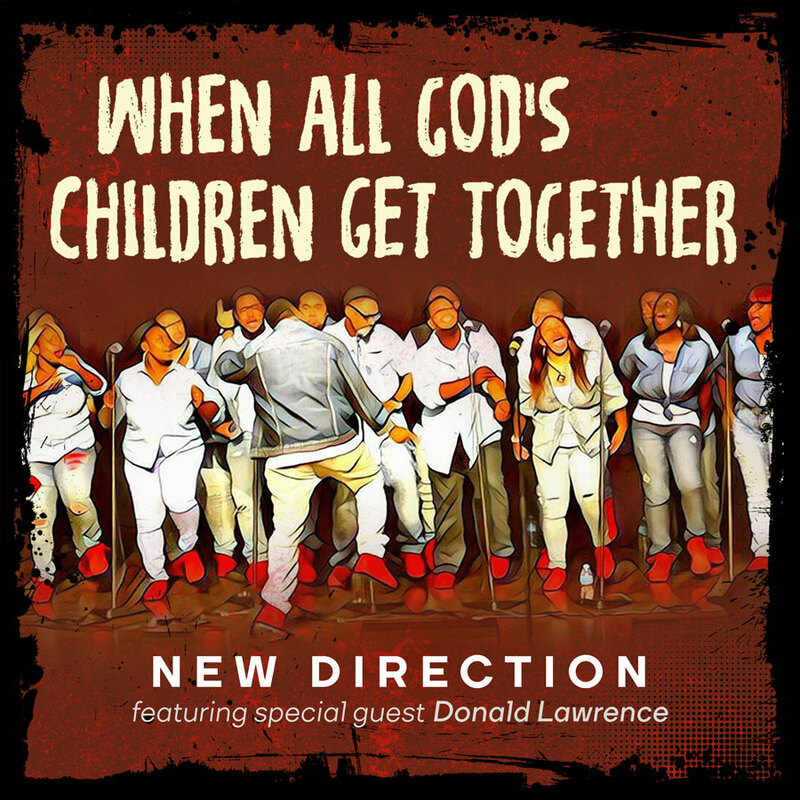 Having recently released its latest single “When All God Children Get”, (featuring Donald Lawrence) and “I’ve Got Favor”, which sent sonic waves through the gospel industry leaving them waiting for more. Having achieved considerable success with the past five albums (5 charting in the Top 40 Billboard, 4 in Top 25 Billboard and 1 in Top 10 Billboard), fans sit waiting for the release of Album 6.